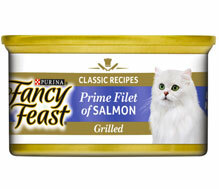 Unlike other big brands, our cat cuisine is developed to be as close as possible to the natural diet of cats in the wild, so you know that you are feeding your loved one healthy, delicious food, full of natural nutrition. Cats in the wild are carnivores, they need real animal protein for natural energy, not often would you see cats eating grains & corn. 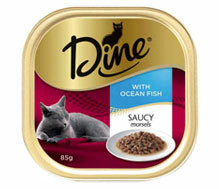 We put in the best natural meat & fish into our cat cuisine and avoid the nasties, like grains & cereal fillers. 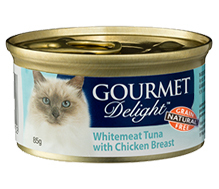 Gourmet Delight is grain free, made with real natural fish & meat with no artificial flavours & preservatives, Gourmet Delight is proud to be natural as nature intended. Compare brands below and find out why you should chose Gourmet Delight for your loved one.